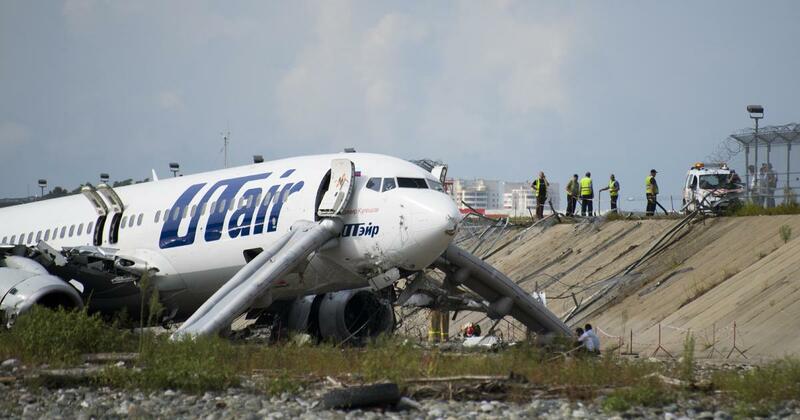 64 passengers and six crew members landed from Moscow. The airport said the fire had been extinguished within eight minutes. The Russian Investigative Committee initiated a criminal investigation into the incident "on suspicion of inadequate services that pose a risk to the health of patients"
A plume of smoke rises from the flames after a passenger plane made a rough landing and caught fire on September 1, 2018 in Sochi, Russia.